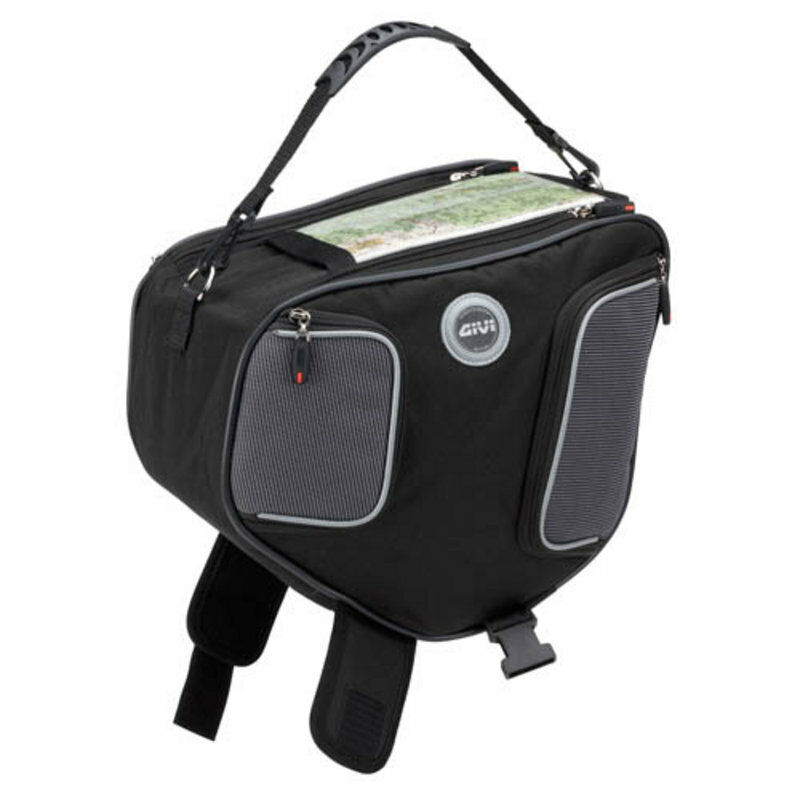 You are here: Home / Givi Product Focus / T455 Givi Tunnel Bag – Touring on your terms. The Givi T455 is designed exclusively for step through scooters. The bag situates between your feet and straps down or uses the included 3M Velcro and adhesive pads to secure itself tightly. Holding a surprising 18 litres this seemingly mid-small sized bag actually devours most things you can throw at it. For the longer trek out this bag will comfortably take a change of clothes excluding shoes with room to spare. Ideal for throwing in your wet weather gear, lunch and phone/wallet etc. There is an integrated map holder on top for easy reference and a detachable shoulder strap so you can walk away with it easily. Other features are scotchlite reflective piping and several external pouches. By taking up the otherwise empty space between your feet this Givi luggage really maximises your options for those trips out you never planned before now. Touring on your terms. Givi Soft luggage that sits between your feet on scooters. Change of clothes, large lunchbox & drink. Do I need to buy anything else to use this? This article is number three in the “Touring on your terms” mini series. Check out the other entries. ‘Til next time, Harris.